Lorraine specialises in the monitoring of coronary heart disease. She takes blood samples and changes catheters, and helps people to stop smoking. She assists Dr Acorn in his vasectomy clinic. Fiona is qualified in chronic disease management and all general nursing. Assists in the Vasectomy Clinic. 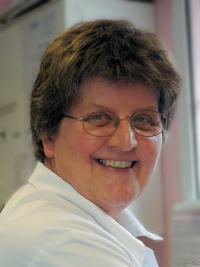 Gill also helps with Hypertension Clinics, phlebotomy and performs the free NHS Healthchecks. Is our audit and QOF clerk responsible for making sure we achieve our quality points. She also has responsibilty for our Local Enhanced and Direct Enhanced Services. Natalie codes new diagnoses onto the system. She has trained in clinical audit and she also assists the Practice Manager in day to day running of the Practice. Fiona - scans letters onto the computer system. Fiona arranges our Chronic Disease Clinic review appointments. She is also responsible for administering the vasectomy service. Alison is our medical secretary and scans letters onto the computer system. Caroline is responsible for administering the vasectomy service and processing insurance reports. Jo is our longest serving receptionist who also has responsibility for the administrative side of the cervical screening programme and health and safety. Jo has a medical secretary and health and safety certificates, as well as First Aid training. Lynne is a receptionist who also works in the dispensary. Jayne is one of our reception team and also deals with our Childhood Immunistation Programme. Jayne is also our prescription clerk. Gill is one of our reception team and also a qualified HCA, She also summarises our medical records. Pauline is one of our reception team and processes repeat prescription requests and helps in the dispensary. Sue is one of our reception team and processes repeat prescription requests. Deborah is one of our reception team and processes repeat prescription requests. Tracy is one of our reception team and processes repeat prescription requests. Out of office hours telephone labour ward at Broomfield Hospital on 01245 513 056. You can contact our district nurses on 0300 003 1902 during office hours or 0844 477 3088 out of hours. Our health visitor offers home visiting, health assessments, post natal support, and child health clinics. Also available are parenting groups, support for breast feeding, help for those children with sleep problems, also and support for families of children with disabilities. She can help with the development of play skills and with families with children whose behaviour is a problem. She holds a child health clinic at the surgery on the second and fourth Thursday of the month between 14:00 - 15:30. No appointment is necessary. The clinic is for advice, support and weighing of babies and children under five years old. For home visits or telephone advice please ring 01245 318 750 or 01245 318 755. Every year, four out of 10 people in the UK experience common psychological problems, such as depression, stress, anxiety, panic and obsessive compulsive disorders. The Mid Essex Improving Access to Psychological Therapies (IAPT) programme offers a new approach to help adults suffering from common psychological problems. What is the IAPT programme? IAPT stands for Improving Access to Psychological Therapies. IAPT was developed nationally to provide psychological therapies proven to help adults with depression and anxiety disorders. We also work with 17 year olds if we are best placed to support them. If you have a severe mental illness, e.g. schizophrenia or bipolar affective disorder, a diagnosed personality disorder or high levels of self-harm or suicidal thoughts with plans to act on them, your care needs would be better met by a secondary care service, such as a community mental health team. Your GP can refer you to this. Mid Essex IAPT does not work with people currently under secondary care as they will be supported by this service instead. You can self refer to this service click here for the IAPT website - where you can complete/download a referral form. Judith is our dispenser and is responsible for looking after our dispensary, maintaining stock and making up prescriptions. Sue works part time in our dispensary. Lynne works part time in our dispensary and also works on reception. Pauline works part time in our dispensary and also works on reception.